Lemon Balm is known for its anti-anxiety and calming effects, improving focus, memory and cognition, and reducing irritability and depression. Lemon Balm (Melissa officinalis) is native to the Mediterranean region. And has been cultivated for well over 2,000 years. Melissa officinalis (Melissa is derived from the Greek for ‘honey bee’) was observed by Pliny the Elder as great for attracting bees. Lemon balm’s appeal continued to grow. It was used as a tea to combat mental confusion, and as an elixir to extend lifespan. In the 17th century, French Carmelite nuns dispensed Carmelite Water. This lemon-balm infused ‘miracle water’ was said to improve memory, vision, and reduce fever, melancholy and congestion. Melissa tea is used in France today to treat fatigue and headaches. Naturopaths recommend lemon balm to treat cold and flu, lower blood pressure, for insomnia and indigestion. As a nootropic, lemon balm is used primarily to lower anxiety and boost memory. Neurotransmitters. Lemon Balm affects brain levels of acetylcholine (ACh). It plays an inhibitory effect on acetylcholinesterase (AChE). AChE is an enzyme that breaks down ACh. Improving memory and cognition. Neuroprotectant. Lemon Balm is a potent antioxidant that protects your brain cells from free radical damage. Anxiety and stress. Lemon Balm has a significant anxiolytic (anti-anxiety) effect. It raises brain levels of the neurotransmitter GABA by inhibiting the enzyme GABA transaminase. This has an effect on mood regulation. 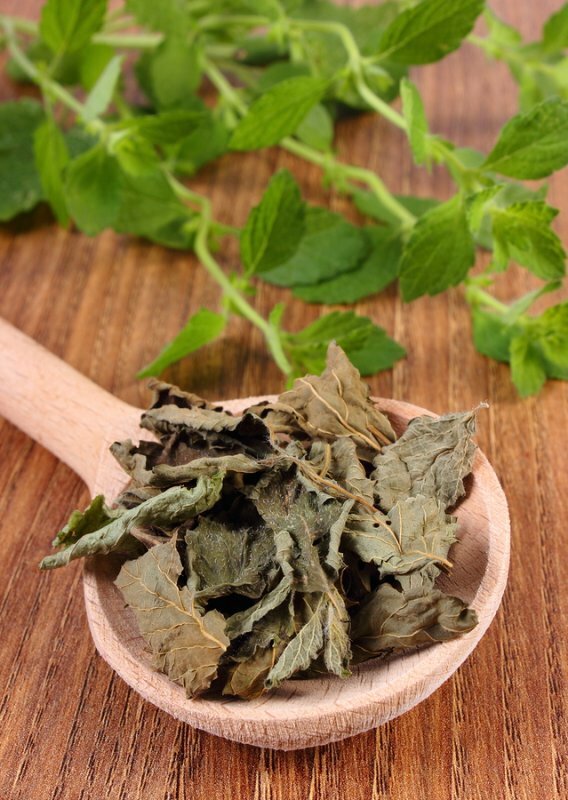 How does Lemon Balm work in the Brain? How does Lemon Balm feel? Lemon Balm (Melissa officinalis) is an herb that’s native to the Mediterranean region. And now found in gardens throughout Europe and North America. Lemon balm has a long history as a treatment for stress, anxiety, thyroid issues, indigestion, infections, viruses and inflammation. Related to the mint family of herbs, lemon balm has a subtle lemon scent. And its small white flowers attract bees. Hence the botanical name ‘Melissa’, which is Greek for honey bee. The first recorded medical use of lemon balm dates back to Dioscorides, the ancient Greek physician, who used the herb for its anti-bacterial and soothing properties. The famous Swiss Renaissance physician, Paracelsus, called it the “elixir of life”. In the 16th century, English botanist John Gerard, gave it to his students to “quicken the senses”. This appears to be the first recorded use of the herb for brain and cognitive health. The most recent research shows lemon balm has remarkable healing and regenerative effects on your brain. It stimulates memory, and supports the health of your brain’s white matter. Eugenol is an antioxidant 5-times more potent than alpha-tocopherol found in Vitamin E. So lemon balm acts to boost your body’s natural healing processes by eliminating free radicals that damage brain cells. Lemon Balm boosts brain health and function in several ways. But two in particular stand out. But if you have too much AChE, as is the case with Alzheimer’s patients, it restricts brain signaling. One way to prevent this signal failure is to prevent the breakdown of acetylcholine. The compound rosmarinic acid in lemon balm encourages blood flow, which helps to keep brain cells from dying. [v] And it inhibits the formation of AChE. The result is that your brain is stimulated, memories continue to form, and brain fog is eliminated. Lemon Balm reduces stress. One-way lemon balm does this is to promote GABA, a glutamate inhibitor in your brain. Glutamate excites brain cells to act. While this excitation is necessary, too much glutamate results in cell death. Lemon balm promotes a better balance in glutamate levels, and helps new cell growth. [vi] The result is a boost in memory and reduction in stress. Largely due to eugenol, one of the components of lemon balm. 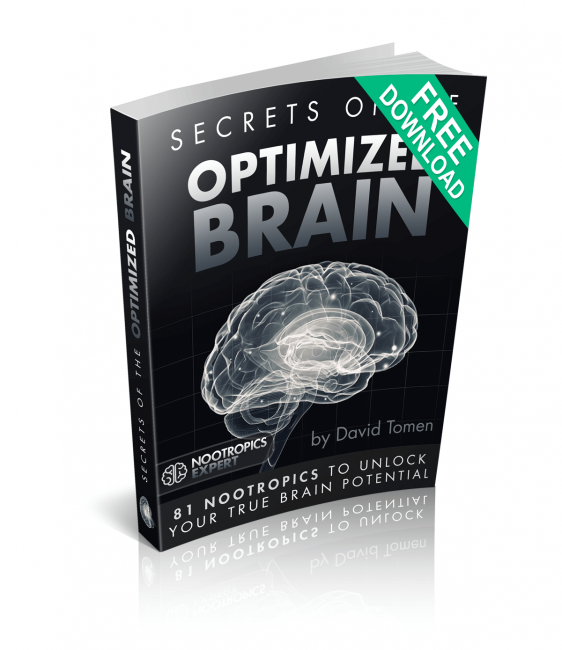 Chronic stress, anxiety, poor blood flow and free radicals (oxidation) can damage your brain. And one of the ways this manifests is memory loss. 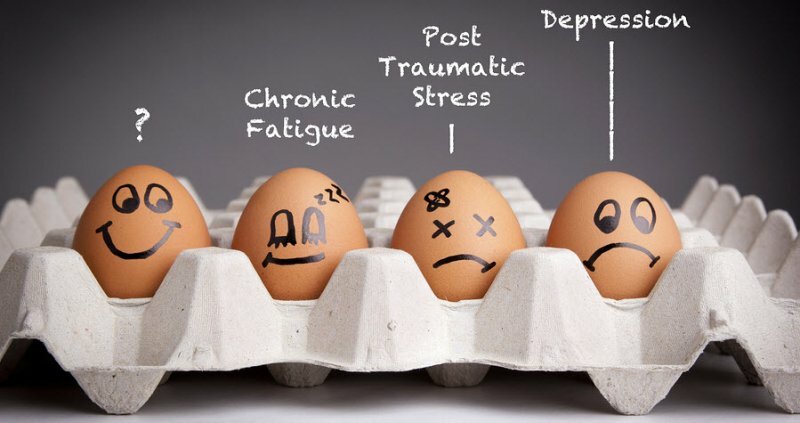 Under conditions of chronic stress your brain loses the capacity to transmit signals between neurons efficiently. Memory, cognition, and decision-making all suffer as a result. Lemon Balm undoes damage to the brain caused by chronic stress and oxidative damage. It boosts GABA levels and keeps toxic glutamate overload in check. Lemon balm inhibits the enzyme AChE that breaks down acetylcholine (ACh) levels in your brain. 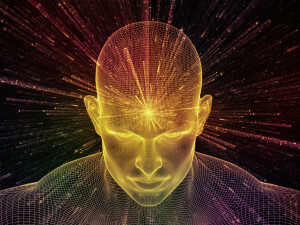 Boosting ACh improves memory, recall and cognition. Rosmarinic acid in lemon balm works as an antidepressant. And boosts brain-derived neurotrophic factor (BDNF) which promotes the growth, maturation and maintenance of brain cells. And the eugenol in lemon balm is a very powerful antioxidant. Eliminating oxidative damage in brain cells by neutralizing free radicals. And boosting your brain’s own antioxidants to provide even more protection. The effects of supplementing with Lemon Balm (Melissa officinalis) can provide an anti-anxiety effect within minutes of taking it. Some users say it works as well as popping a Xanax. You should experience an increase in focus along with a sense of calm. And even though lemon balm works well as a sleep aid, taking it during the day shouldn’t make you drowsy. Users report lemon balm effective in taming racing thoughts that come with Obsessive Compulsive Disorder (OCD). Some even use lemon balm as an effective way to control irritable bowel syndrome. Lemon Balm has been shown to improve problem-solving and memory in both human and animal models. And age seems to make no difference. 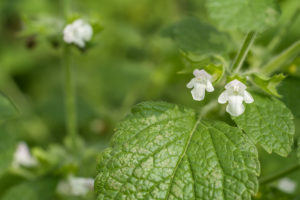 All groups using lemon balm showed boosts in recall and problem-solving. 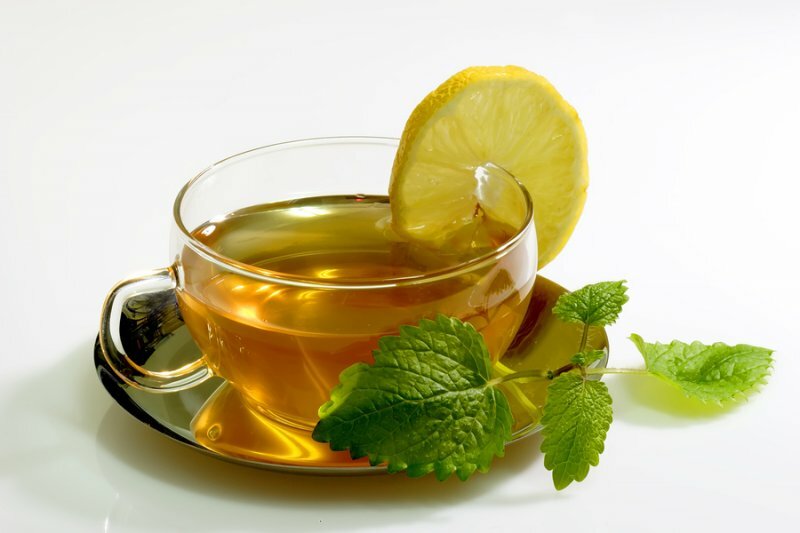 Some recent studies with Alzheimer’s patients have shown improvement when using lemon balm. In one study done in China, researchers gave Sprague Dawley rats eugenol. A double-blind, placebo-controlled experiment was conducted in the UK with 18 healthy volunteers. The subjects received two separate single doses of standardized lemon balm extract (300 mg and 600 mg), or a placebo, on separate days. Followed by a 7-day washout period. Mood was assessed before dosing, and 1-hour after dosing with lemon balm extract. The study subjects did a 20-minute version of the Defined Intensity Stressor Simulation (DISS) battery of tests. The results showed that a 600 mg dose of lemon balm eliminated the negative mood effects of doing the DISS tests. They reported an increase in calmness and reduced alertness. The researchers also reported a significant increase in mathematical processing, with no reduction in accuracy. This was after taking the lower 300 mg dose. Lemon balm has a long history of use in treating a host of ailments. Including memory and cognition, gas, bloating, earache, vomiting, headache, toothache and insomnia. For nootropic use, Melissa officinalis (lemon balm) comes in tea and capsule form. For the most potent dosage find lemon balm extract capsules. The suggested dose by most naturopaths and alternative health doctors is 300 mg of lemon balm extract 2-3 times per day. 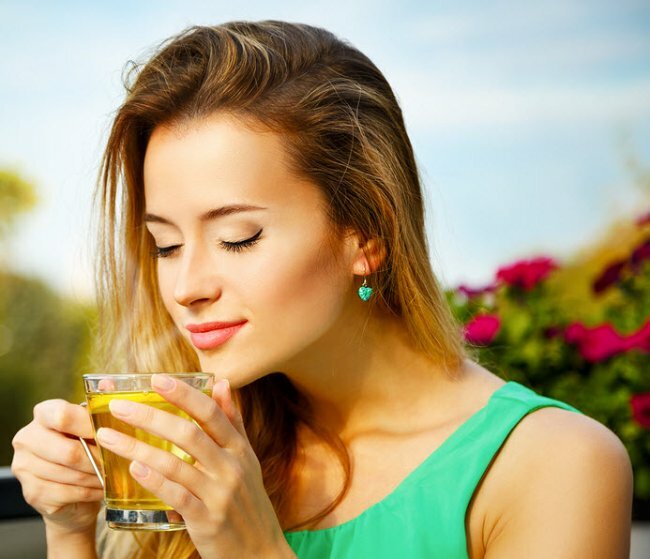 Dosage of lemon balm leaf as a tea is 1 – 2 grams per cup of tea. You can use lemon balm in the morning to address daytime anxiety. And towards evening to support relaxation and sleep. Lemon balm is considered non-toxic and very safe for most users. Most neurohackers won’t experience any side effects. Note: Lemon balm may have an “antithyrotropic effect“. So if you’re hypothyroid, and on thyroid medication, you may want to avoid using lemon balm. And use caution when combining lemon balm with; anti-anxiety meds, anti-histamines, muscle relaxers, anti-seizure drugs or tranquilizers. For nootropic use, lemon balm supplements are available as loose-leaf tea, tinctures, and capsules. Most neurohackers use lemon balm capsules which come as ground leaves, or an extract. The lowest active dose is 300 mg of standard lemon balm. 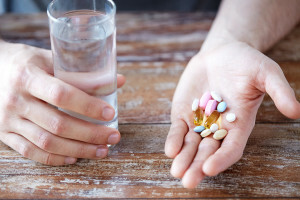 Supplementing above this dose seems to offer dose-dependent benefits. In other words, you’ll get more benefit by taking higher doses. (i.e. 300 mg lemon balm 2-times per day). We recommend using Lemon Balm as a nootropic supplement. Your body does not make Lemon Balm on its own. So you must take it as a supplement. Lemon Balm is especially helpful for those suffering from anxiety and stress. Studies show it helps stop and reverse the devastating effects of anxiety and stress on your brain, and body. 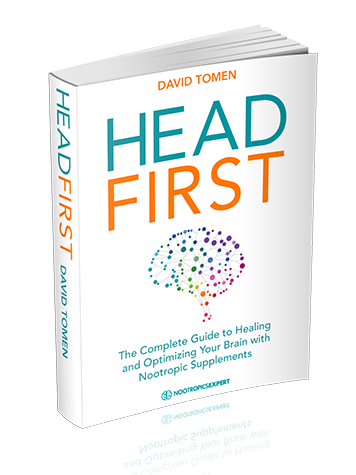 This nootropic helps repair damage to brain cells caused by chronic stress and anxiety. Lemon balm is reported to work well for those dealing with Obsessive Compulsive Disorder (OCD). Taming racing thoughts, and helpful in dealing with stressful situations. Lemon balm is also helpful for those suffering from Alzheimer’s. It has been shown to help reduce agitation and improve symptoms of mild to moderate Alzheimer’s disease. It may also be of benefit in relieving some symptoms of ADHD. You can safely take up to 900 mg of Lemon Balm (Melissa officinalis) extract daily if needed. One dose first thing in the morning. One dose early afternoon. And the last dose in the evening. And for memory, lemon balm is great to stack with CDP Choline and Acetyl L-Carnitine. iv: Kennedy, et al. ; 2003. 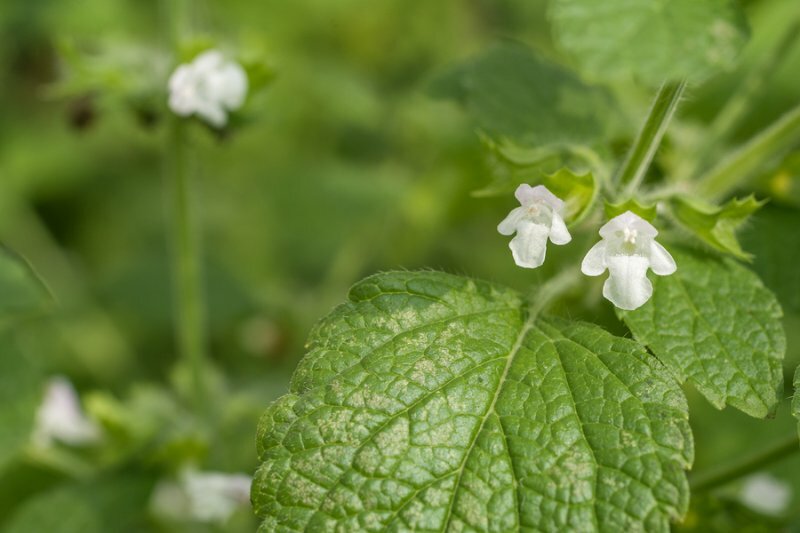 Modulation of mood and cognitive performance following acute administration of single doses of Melissa officinalis (Lemon balm) with human CNS nicotinic and muscarinic receptor-binding properties. Neuropsychopharmacology. ; 28(10): 1871-81.
hi david do you think valerian root shares similar properties like lemon balm ? Jawad, from the little research I’ve done so far on Valerian, the only thing it has in common with Lemon Balm is the ability to boost GAGA in your brain. My name is Gina I live in South Africa I came across the study you mentioned that was conducted in university of Newcastle on Tyne where they rubbed subjects with severe Dementia with Melissa Officianalis together with a lotion on face and arms twice a day and saw cognitive improvement and less anxiety and disruptive behaviour. I assume that they applied this on the FACE because it is closer to the nose – because it was the SMELL COMPONENT that had the beneficial effect on the Brain. My father is 86 years old , Has type 2 Diabetes , has had 2 silent heart attacks , High blood pressure and has Vascular Dementia at severe stage where he needs constant care – to get up from bed to go to toilet ,wears diapers ,has chronic diarrhea – ( maybe due to glucophage medication) or malabsorbtion – he hallucinates , has delusions , misidentifies people , has visuospatial problems and has lots of anxiety – he does not allow my mom to rest at night because he gets up in very agitated state taking off his diaper and pulling off her blankets etc asking her non sensical questions. 1) if you take the 300 gram capsules you speak of 3 times a day – will it have same effect as in the study – as there won’t be the SMELL COMPONENT ? 3)Will a tea be more beneficial – perhaps with his diarrhea? I would appreciate any advice as my mother who is 90 years old looks after my dad with a caregiver – and is beyond exhausted . Please advise me as to what you think would be most beneficial for my father and perhaps my mother too who suffers from depression and exhaustion . Gina, I would suggest trying the capsules AND lemon balm tea in this case for both of your parents. Studies show it has a profound effect on acetylcholine receptors in the brain. And BTW, rubbed on the skin likely makes it more bioavailable as it goes directly in the bloodstream. Likely more so than the olfactory component. I would like to draw your attention to a later study I just discovered done on Melissa and Dementia patients with agitation, conducted in 2011 which DISPROVES the study done at the university of Newcastle on Tyne . The conclusion of this later study is that Melissa oil has the SAME effect on the anxiety or the disruptive behaviour of the Dementia patients as the Placebo patients rubbed with sunflower oil !! What are your comments on this – is it worth buying Melissa capsules or teas now? Dement Geriatr Cogn Disord. 2011;31(2):158-64. doi: 10.1159/000324438. Epub 2011 Feb 19. A double-blind placebo-controlled randomized trial of Melissa officinalis oil and donepezil for the treatment of agitation in Alzheimer’s disease. Burns A1, Perry E, Holmes C, Francis P, Morris J, Howes MJ, Chazot P, Lees G, Ballard C.
Gina, my only opinion is Lemon Balm has been used for over 2,000 years for anxiety. 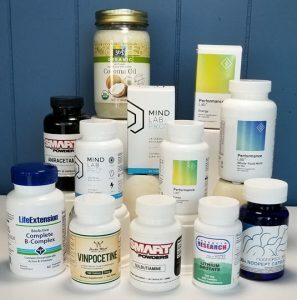 Nootropics Expert digs into the research on using nootropic supplements including Lemon Balm taken internally in capsule, tablet, powder or tea form. It is not my intention to conduct aromatherapy research and I don’t know enough about it to form an opinion on this study. But it seems to me that if Lemon Balm works by taking it internally as a supplement then that is what I recommend people use. How does lemon balm prevent the breakdown of GABA? Does it prevent the conversion of GABA back to glutamate or what? I read that valerian root also prevents the breakdown of GABA. Otherwise they differ. I was just wondering how the breakdown of GABA works. Andrea, Lemon Balm inhibits the enzyme GABA transaminase which prevents the breakdown of GABA. Valerian binds to GABA-A receptors and seems to inhibit the same enzyme. 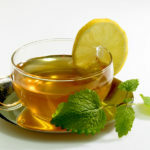 Woah… I started using Lemon Balm tea (2 tea bags) and noticed a wonderful effect of calmness and contentment with my days. My close friends have noticed. Thank you very much David!